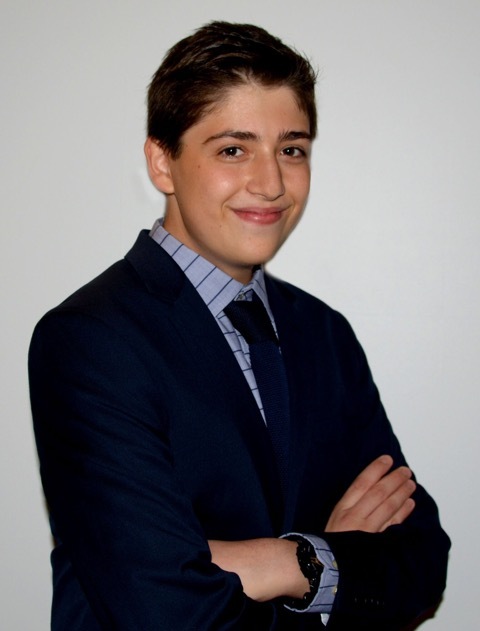 Benjamin Stern created a mission-based company, took investor meetings in between high school classes and received funding from Mark Cuban of Shark Tank, all by the age of 17. We sat down to speak with him about his experience balancing teenage life, investors and his innovative natural personal care company, Nohbo. Tell us where your journey as a young entrepreneur began. Benjamin Stern: My entrepreneurship journey began years ago in middle school when I grew upset on how schools were using kids to sell coffee, cookies, wrapping paper, etc. with absolutely no financial return. I quickly realized how innocent young faces made the best neighborhood sales reps. From Bar Mitzvah money I saved, I bought coffee at a wholesale rate from a roaster in Seattle, and went around the neighborhood selling my high-quality beans with a subscription format, and donating a piece of the proceeds to the Wounded Warriors Project. It was a lucrative first venture, but I realized that I needed a tangible idea to breach beyond the gates of the neighborhood and actually make a difference. Tell us a little more about Nohbo. How was the idea conceptualized? BS: Nohbo is a really exciting twist on an age-old wasteful delivery system. We have figured out a way to eliminate the need for plastic bottles in personal care products such as shampoo, conditioner, body wash or shaving cream by creating a single-use, water-soluble apparatus that dissolves 100 percent. Just take a shampoo ball, rub it in your hands under shower water and out comes a lathery mix of shampoo. From there, just wash, rinse and repeat. We believ e whole-heartedly in business as a force for good. How is Nohbo contributing to this mission? BS: Every year, shampoo plastic bottle waste fills nearly 1,200 football stadiums in the U.S. alone and each bottle can take up to a millennium to compost. This stems from the fact that four out of five people don’t consistently recycle any items from their bathroom. Nohbo’s mission as a business is to combat that waste with an alternative solution to disposing of these bottles, which benefits everyone from local suppliers and their employees, companies who have to spend less on carbon-producing shipping and waste removal services, and the bather who now can find a way to live an eco-friendly lifestyle with ease. What are the next steps for Nohbo in distribution? BS: Nohbo is currently working with the top hotel distributors to create a custom line for them. This is a really exciting step, as it progresses the company and aligns it with an industry which has been quite destructive to the environment in the past. I am proud to be able to offer an alternative to them. What excites you about the future of Nohbo in the natural products industry and beyond? BS: What excites me is the infinite possibilities the natural products sector has to offer. Just a few years ago, the industry was confined to age-old limitations, with very little innovation in the field. With new science and possibilities, and most importantly, consumer demand for cleaner, greener and healthier products, the sudden change has invigorated this space, and transformed it into something really special and exciting. This will serve as a catalyst for Nohbo to expand throughout the space. This product is so innovative. Where did you start when thinking about creating a prototype/manufacturing/finding many of the resources that you would need to bring your vision to life? BS: When I thought of Nohbo, the first thing that came to mind was finding a way to protect the idea, so I found family friends to help file initial provisional patents, and assist with other legal jargon. I was fortunate enough to be introduced to the Marbury Law Firm, which specializes in IP. They committed $20,000 in pro bono services to help progress Nohbo in its infancy. I got a job to help cover the costs of R&D, and found chemists through research on freelance ads, recommendations and lab contractors. It took a while to find the right person, but a bit of research can go a long way in scoping out potential partners. What excites you about speaking at Expo West 2017 Natural Products Business School? BS: I am really excited to see like-minded entrepreneurs gathering at the Natural Products Business School this year. Consumer goods are an extremely diverse field and to meet fellow entrepreneurs pursing this field helps inspire me to continue and expand on existing lines. I am eager to hear new ideas, innovations and products in this ever-changing field. Benjamin Stern spoke at Natural Products Expo West Natural Products Business School in 2017. Watch his talk here.